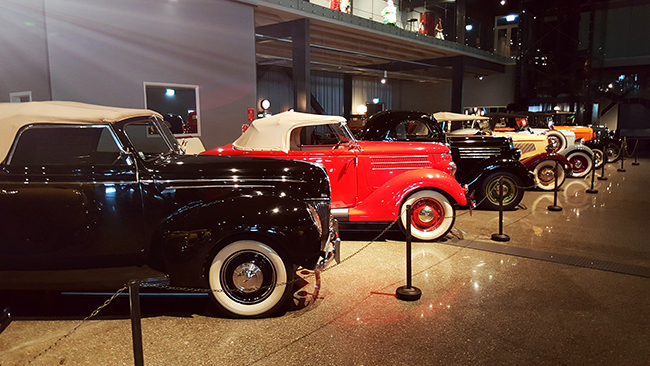 It opened in 2015 and is the largest private automotive museum of its type in the world. First up, I’m not a car fan – not one bit, I don’t even own one. I enjoy a modern inner city Melbourne lifestyle of catching Uber and Public Transport. 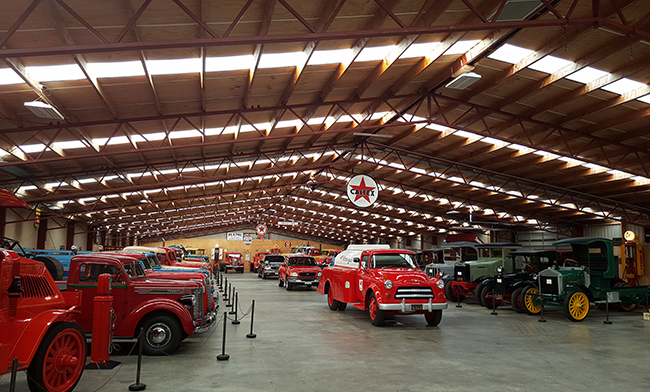 One of the sheds on display. 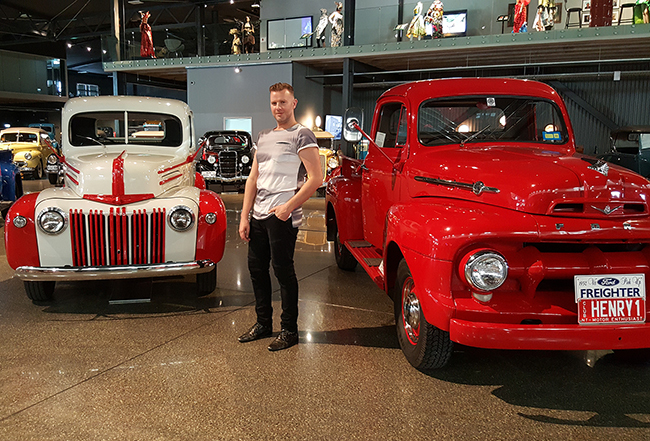 So, I was actually quite surprised how much I enjoyed visiting Transport World that I had to report and snap my experience. Plus, there was some over-the-top and fabulous fashion on display! An entire level was dedicated to Southland’s FibreOctave Wearable Art and Musical Extravaganza. 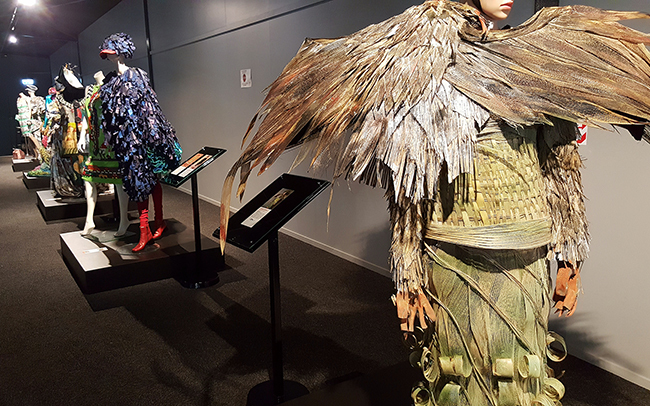 The designs on display are handcrafted from new, recycled, reinvented and couture materials. FibreOctave is an annual spectacle of colour and creativity with the next event on 9 June 2017. Now back to the cars, the collection was massive, to be honest I was expecting a room full of maybe 30 cars. But far out, there were sheds (as they call them) full of so many styles. 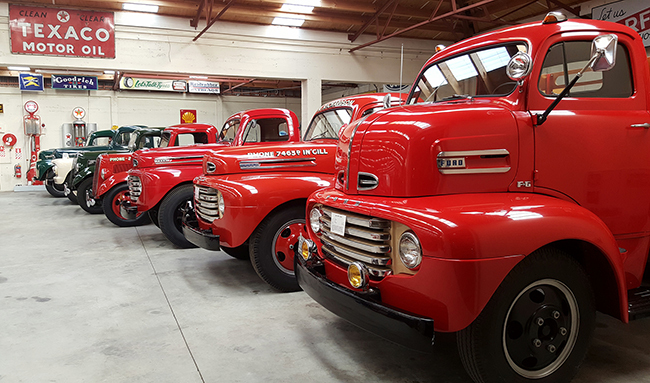 What really caught my eye was the immaculate condition of these vehicles, it made for a slick automobile history lesson. 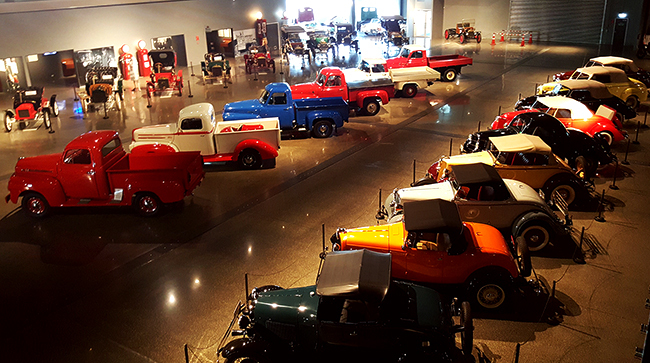 It’s an impressive collection with hundreds of motor vehicles and petrol pumps on display throughout the 15,000 square metres. It was the quirky details that really made this a visit worthwhile as even the toilets were on theme with mini petrol pumps as taps for some of the wash basins. 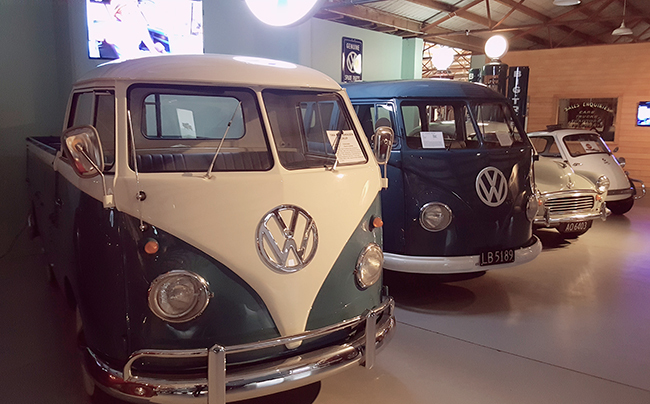 The retro Kombi section was my favourite that made me want to grab some friends, hit the highway and go on a crazy road trip!